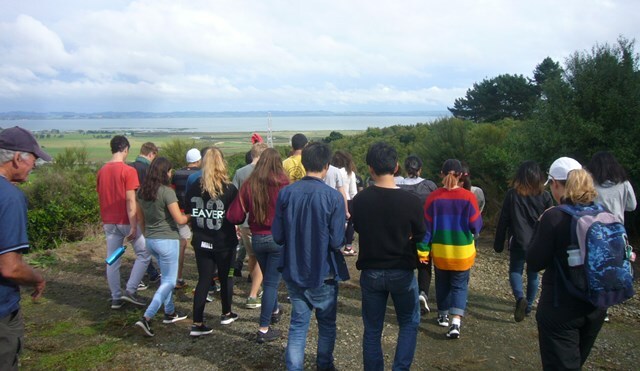 Orewa College sponsors an international exchange program which gives overseas students the opportunity to experience New Zealand culture and natural heritage. 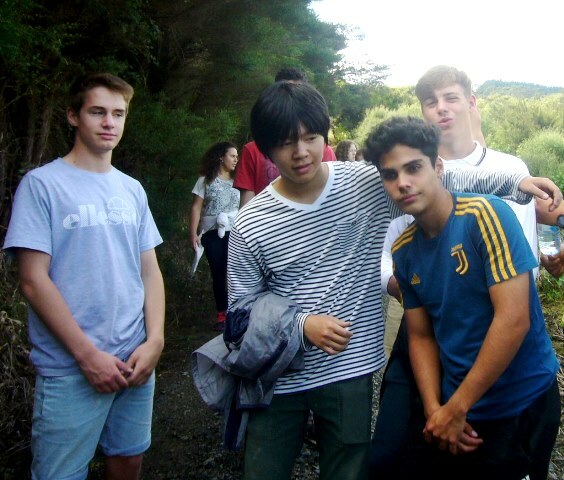 In addition to regular course work, the international students can participate in a New Zealand Experience class where they do outdoor activities, take trips and learn more about New Zealand. 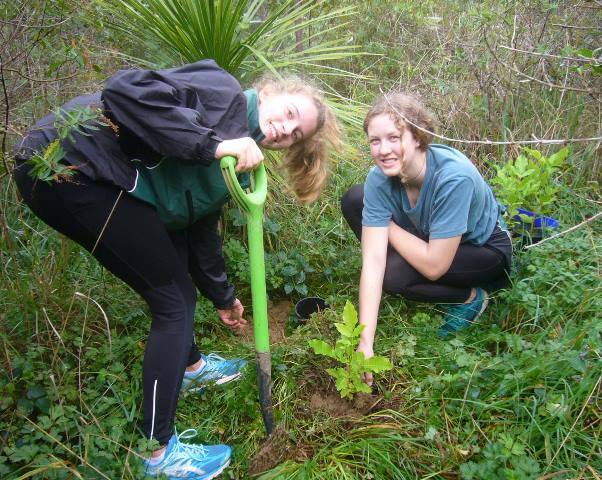 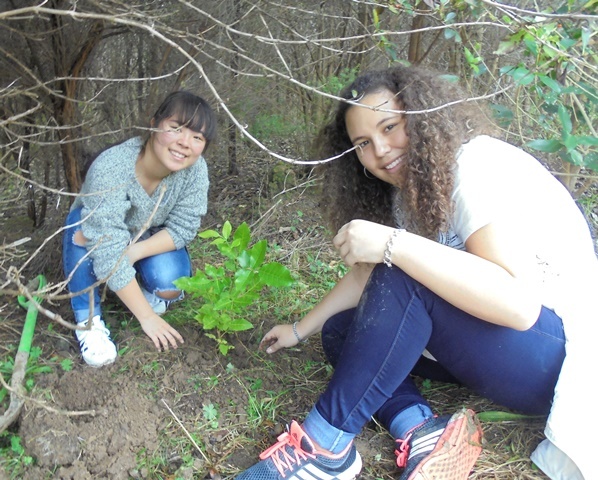 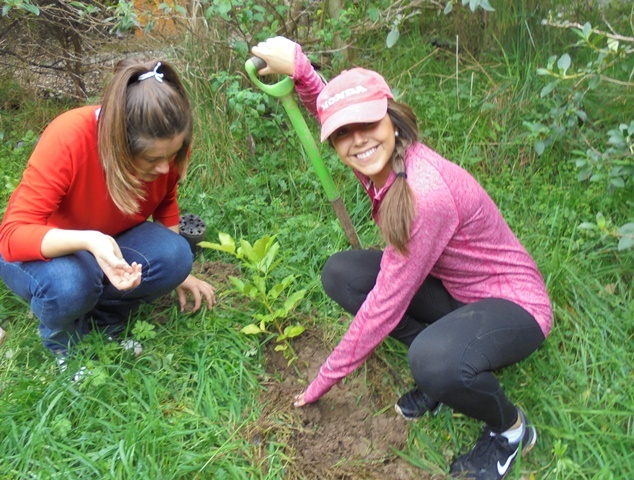 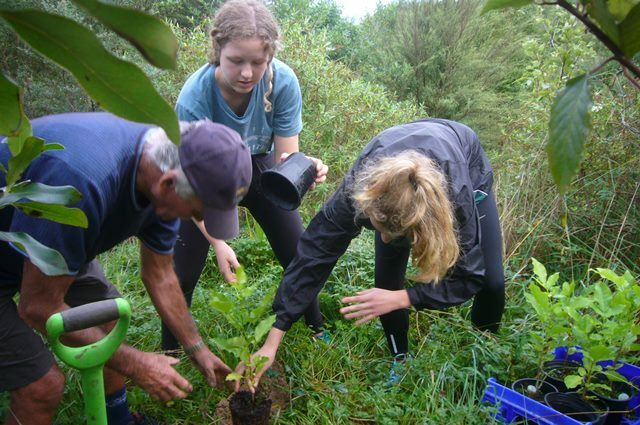 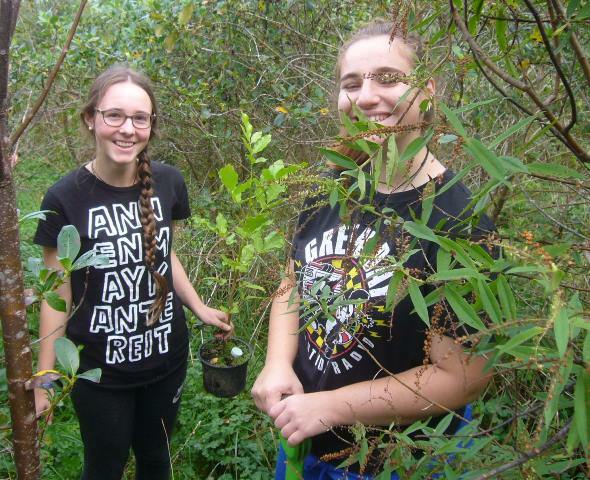 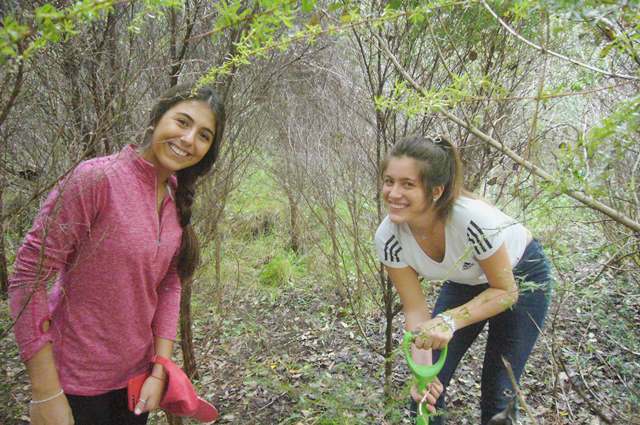 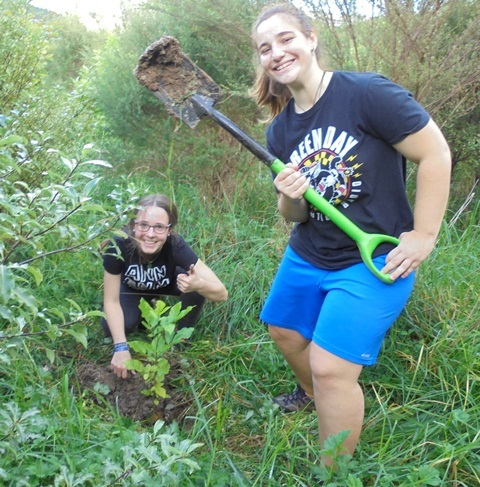 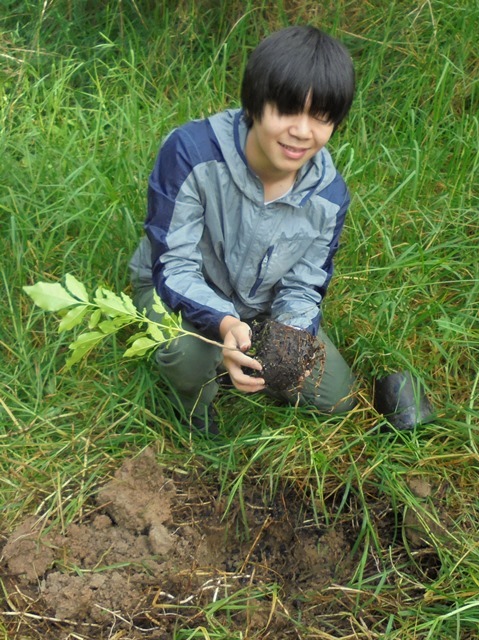 For the fourth year in a row, students in the New Zealand Experience class visited CUE Haven and made their mark on NZ by helping us plant long lived canopy trees such as kohekohe, puriri, rimu, taiarie, tanekaha and totara. 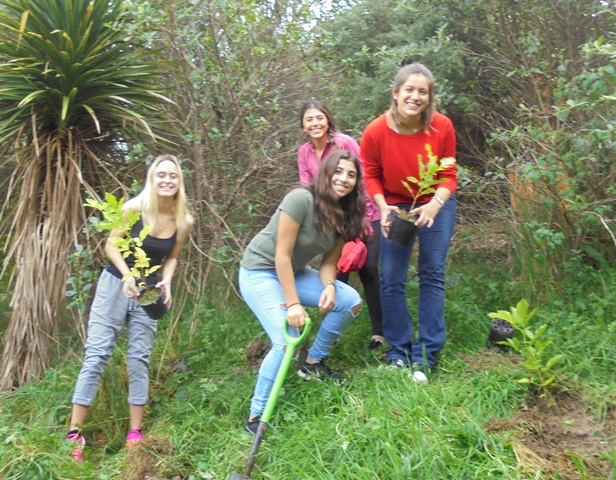 The students today were from Argentina, Brazil, Chile, Columbia, Germany, Italy and Japan. 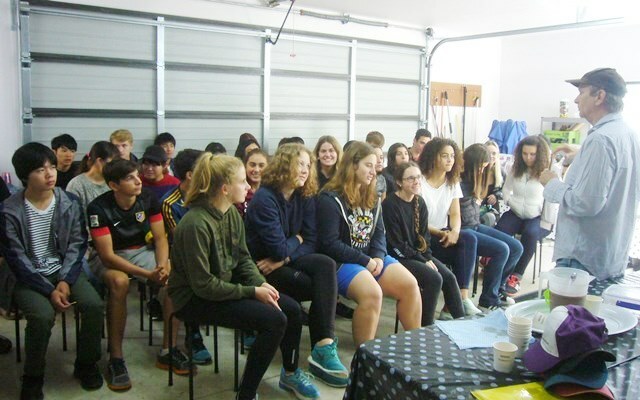 Joining us were Agustina, Artur, Catalina O., Catalina R., Daiki, Eacundo, Emma, Hana, Jonas, Juan, Kokoro, Lara, Lena, Manami, Manuela F., Manuela S., Mariana, Marin, Martin, Matthias, Milagros, Paula, Paulina, Rachele, Ricardo, Rosario, Takara, Wencke, Yuka and Yuya. 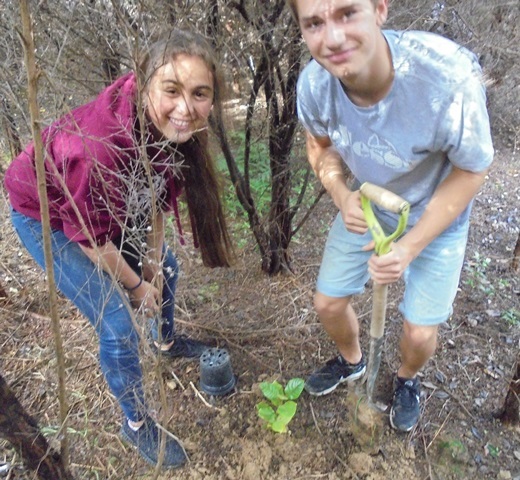 Accompanying the students were teacher Cecilia and friend Stan. 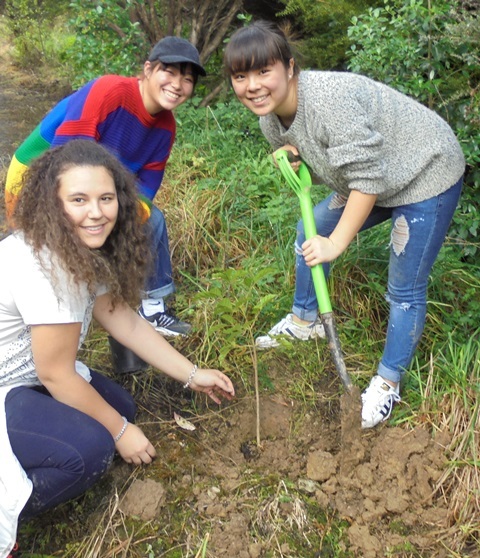 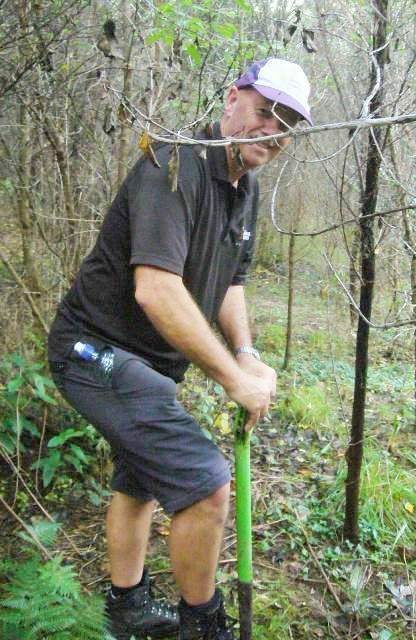 Dave from Kiwiana Tours who drove the students out, also volunteered and assisted with the planting today. 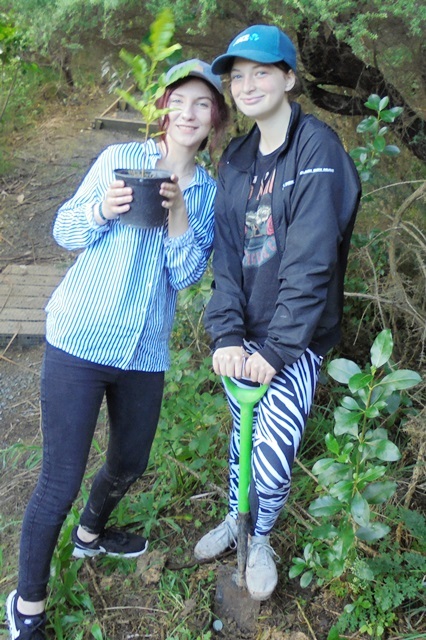 We spent some time getting acquainted over morning tea. 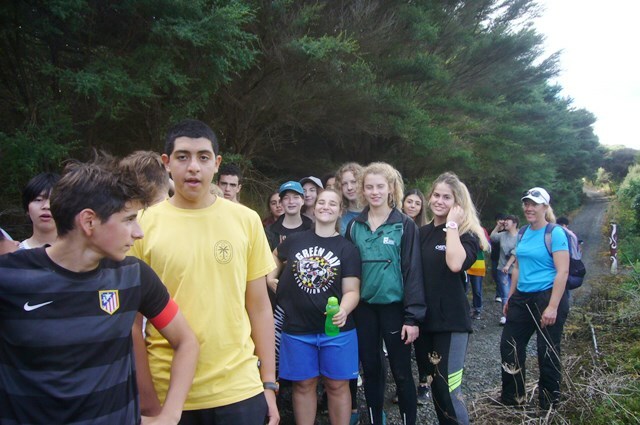 The delicious hot chocolate milk was much appreciated by all (Thanks Nestle NZ!). 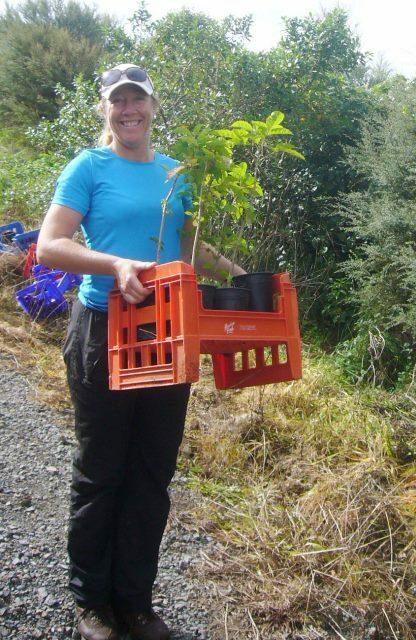 Mahrukh gave some background about CUE Haven, the restoration project and some of the unique characteristics of native New Zealand plants. 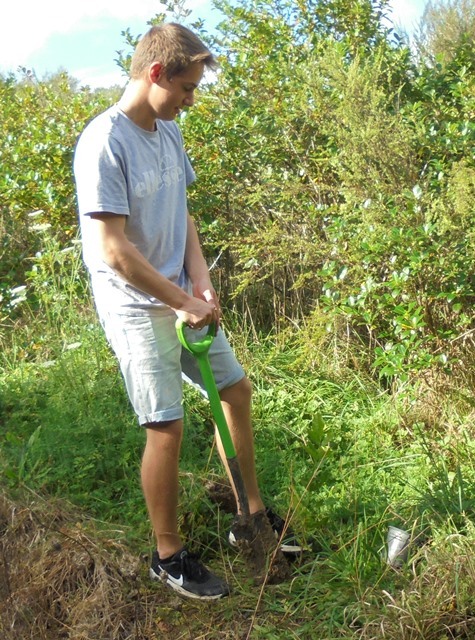 Thomas then gave a safety briefing and an overview of the plan for the day. 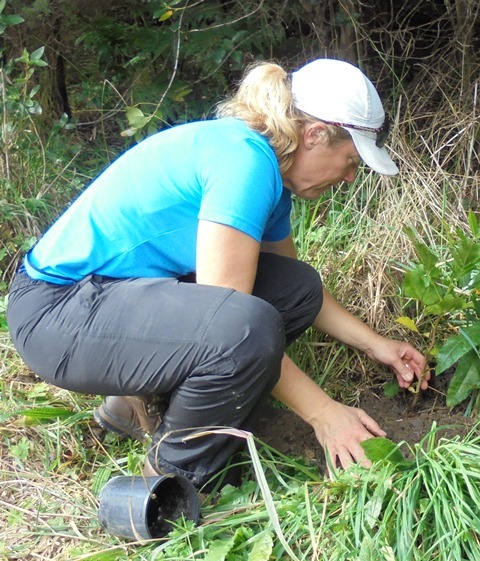 The plan for the day was to plant near the top of the property in areas that had previously been planted with fast growing pioneer trees. 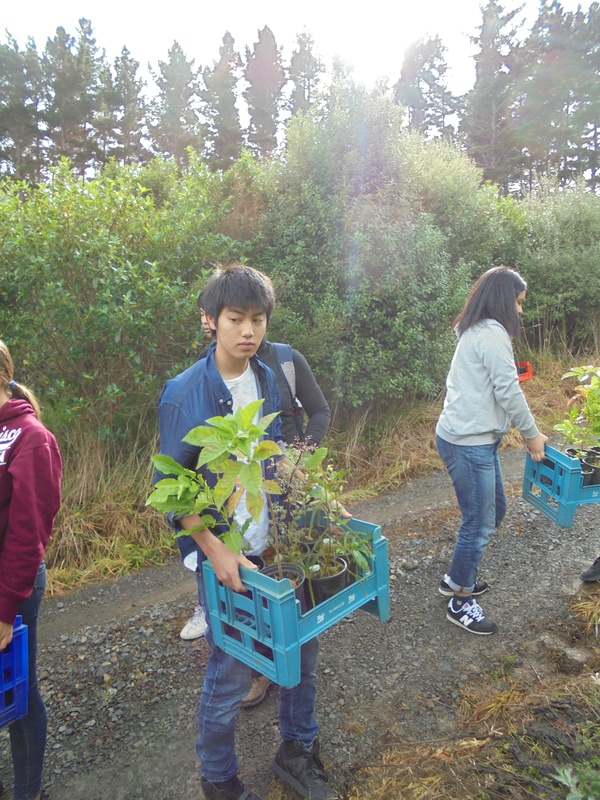 We had taken all the plants and spades up to the planting site the day before, and because of the distance, we drove the students up in groups. 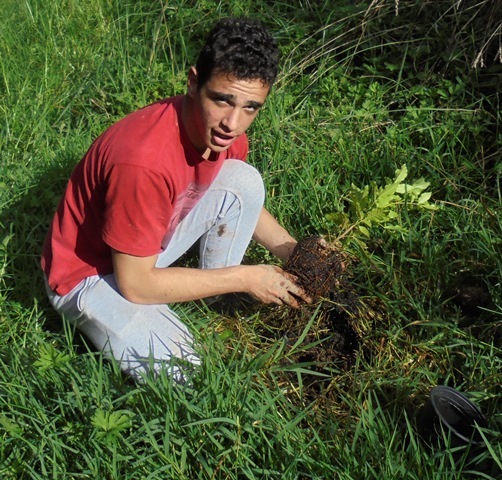 Once everyone was on site, Thomas gave a planting demo and a repeat of the safety briefing. 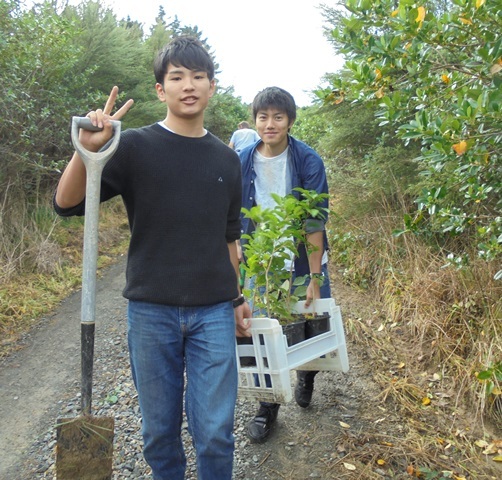 The students then paired up and went to work. 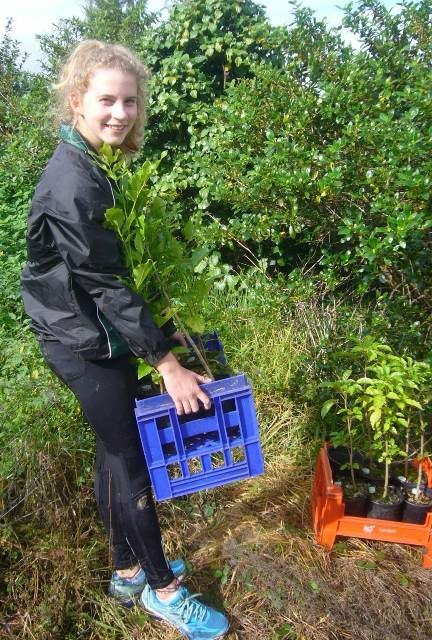 It was challenging planting as these canopy trees were being planted amongst the pioneer trees planted in 2011 -2012. 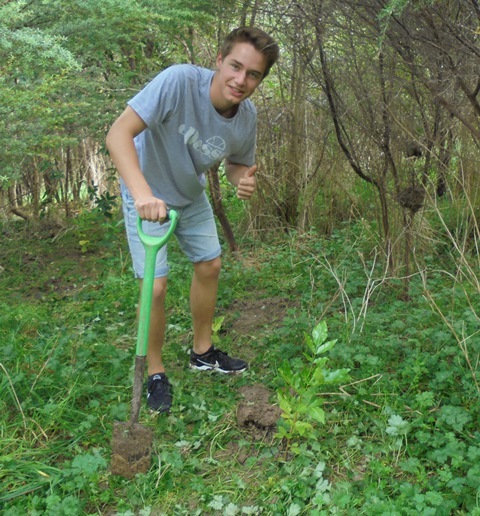 The students found some open areas but also had to explore deeper in the bush to find good planting spots. 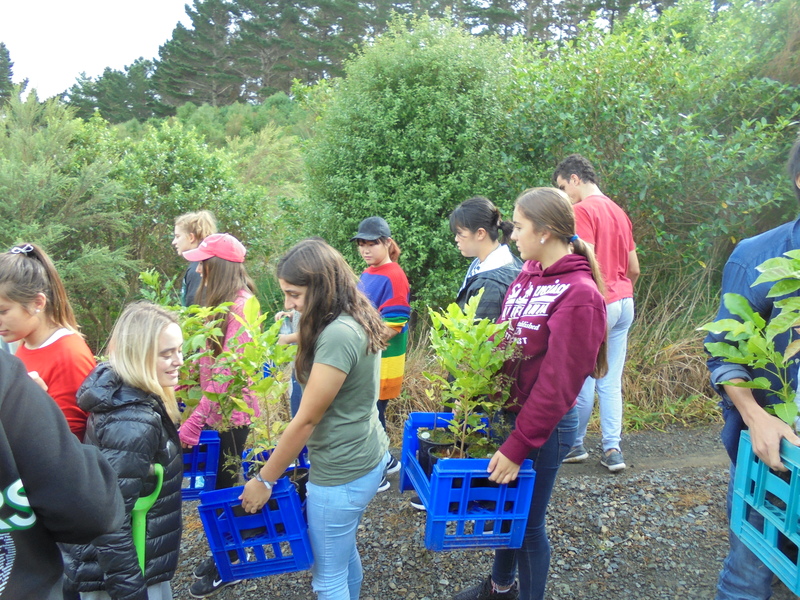 In just a couple of hours the students planted an amazing number of trees and then collected up all the pots, crates and spades and loaded them into the ute. 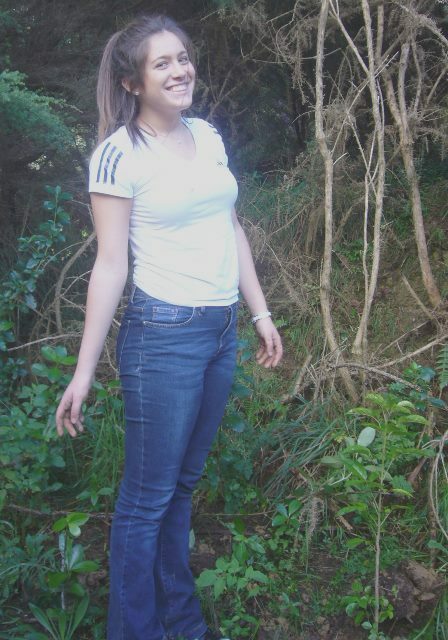 They then took a leisurely walk back to the cottage for a well deserved lunch. 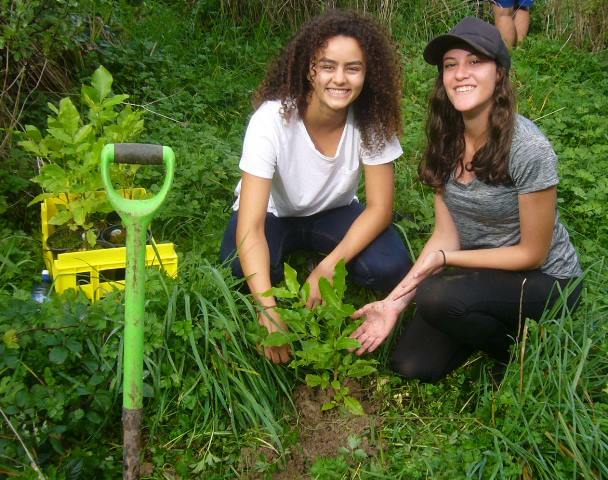 We’d like to thank Adrienne Croad, International Students Development Manager, who unfortunately couldn’t join us today. 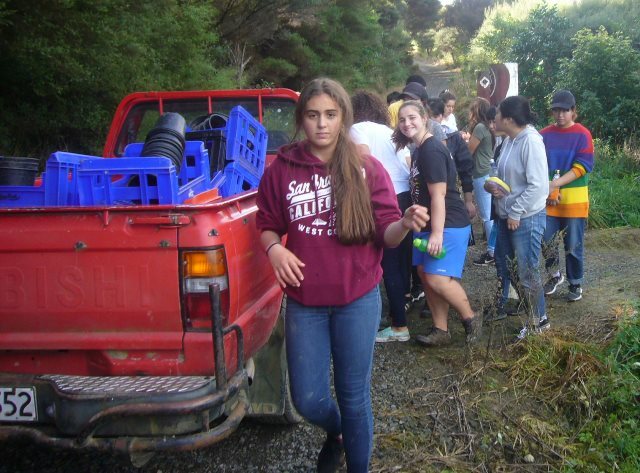 Adrienne has been organising visits by Orewa College for the past four years and made all of the arrangements for the visit today. 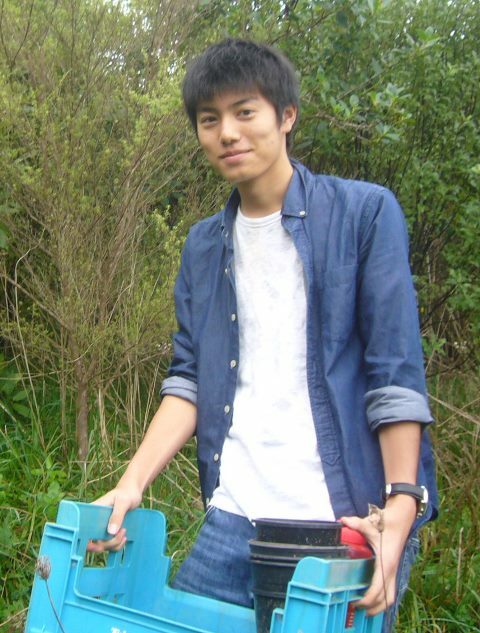 Thanks for your continuing support. 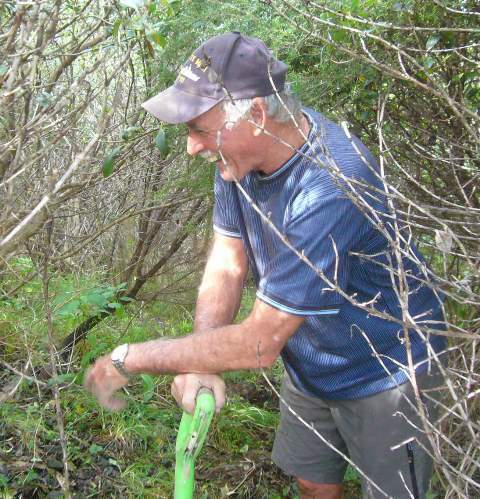 And thank you also to Cecilia, Dave and Stan for helping out today. 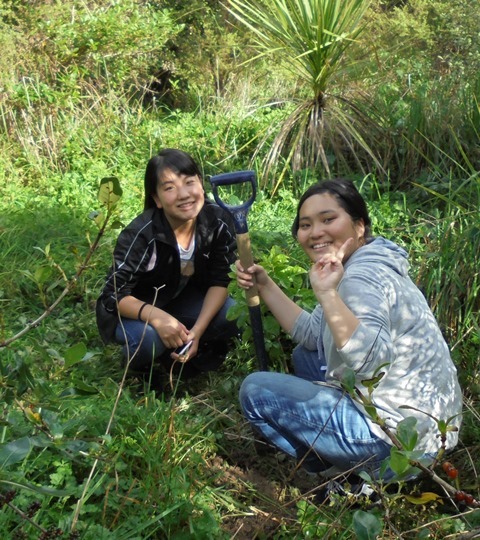 Thanks to your help and supervision, the students were able to accomplish so much. 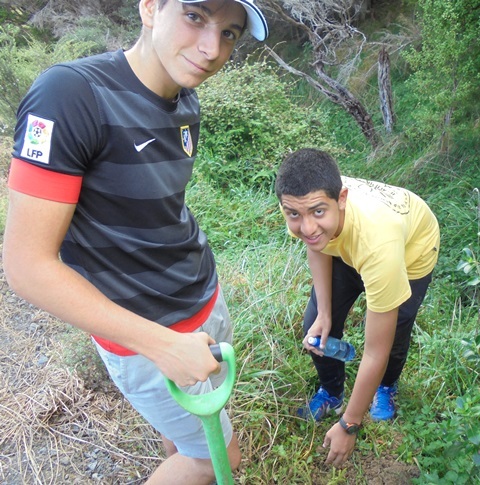 And we especially want to thank the hard working students. 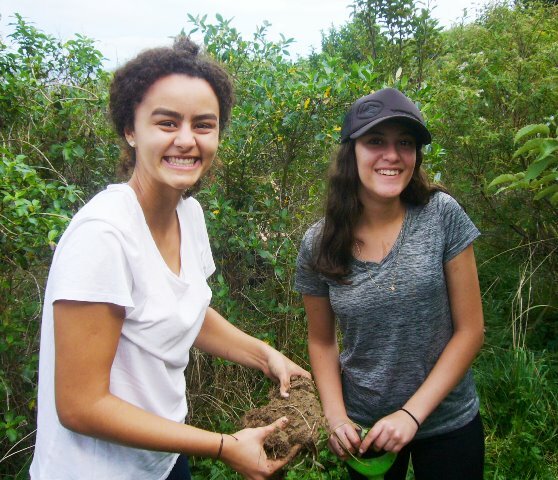 We enjoyed meeting you and working with you. 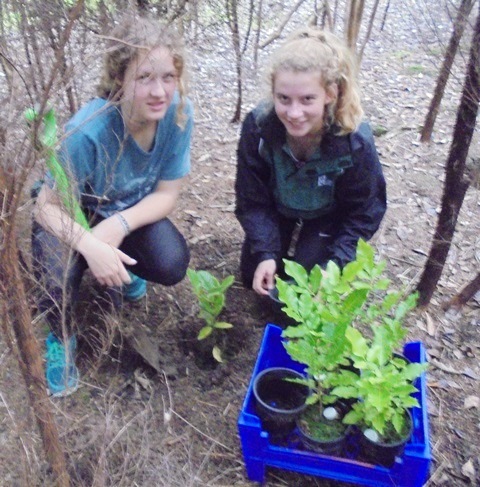 The trees you planted today will live for hundreds of years and provide food and shelter for native birds and animals. 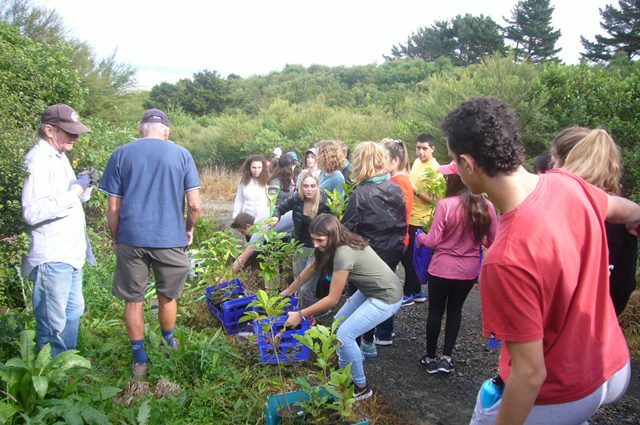 You have made a major contribution not only to the CUE Haven nature reserve but you have made a lasting and positive contribution to future generations and our planet. 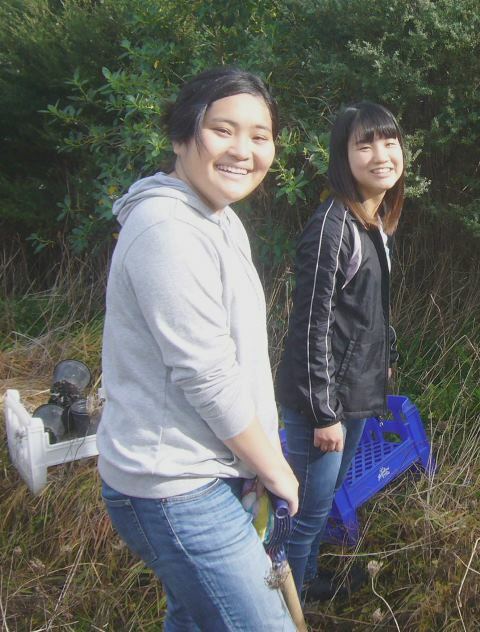 We hope you continue to enjoy your stay in NZ and best of luck with your studies and future endeavours. 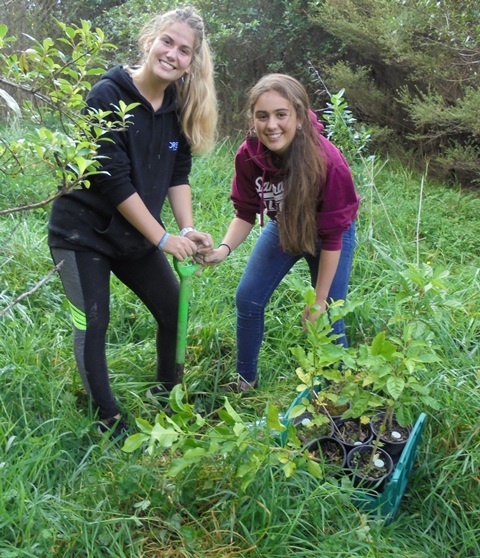 We hope you will visit us and CUE Haven on your next visit to NZ and you can also see how big your trees have grown.